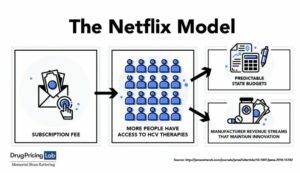 The Governor of Louisiana, John Bel Edwards (D), has announced that the state is engaging in an innovative, new payment model to improve access to Hepatitis C treatments. The state will be among the first to move forward with a subscription model for acquiring the medications. Under this model, the state will pay a subscription fee to the drug’s manufacturer in exchange for unlimited access to the medication for residents of the state. Edwards is hopeful that this will lead to reduced expenditures on Hepatitis C medications in the state and will be instructive for other states looking for ways to modernize their methods of acquiring expensive medications.